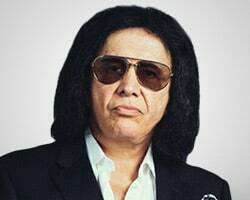 Gene Simmons, international rock legend and co-founder of KISS, America's #1 gold record award-winning group is a renowned serial entrepreneur. Beyond his music career he's made a name in television, film, publishing, merchandising, restaurants, consumer products, and more. Currently he's launching MoneyBagSodas, and most recently named chief evangelist officer for Invictus MD.